Twice in March I had the opportunity to witness some of Purdue Agriculture’s citizen advocates in action in Washington D.C., meeting with their Congressional representatives and talking about what Agriculture research, teaching and Extension means to them in a very personal way. These people don’t get paid for the time they spend advocating for Purdue Agriculture. They do it because they believe in and support the work we do. And the fact that their advocacy comes from their personal connection to Purdue strengthens the impact their messages have with our state and national leaders. The connection to Purdue Agriculture for some is their or their children’s involvement in 4-H. Some are Agriculture alumni. Some are connected through membership on county Extension boards. Some have taken advantage of Purdue Agriculture resources to help them start a business, find locally-grown food markets, help their community make land use decisions, or get help to deal with disasters—natural and man-made. Some have put Purdue Agriculture agronomic research to work on their farms, or used insights about the direction of the agricultural markets to guide their decisions. Every one of them has their own unique relationship with us. Talking to these people—and many others around Indiana—and hearing their stories always serves to remind me that we do make a difference by being the source of unbiased, science-based information to help people to improve their lives and their communities. We should always be looking for ways to communicate our science and connect Purdue Agriculture to those we serve. Is our web presence as informative and complete as it can be? Are we offering programming that is relevant, timely, educational and useful? Is our research focused on problems important to our stakeholders, broadly defined? Are we getting the word out about the purposeful research we do? The basic question is what can we do to best serve those looking to us as a partner they can trust? I realize it takes a lot of energy to ask questions like this when we feel like we are doing all we can do. But, asking these questions may also point out activities that have served their purpose, freeing up time and energy for new activities better aligned with the issues of the day. Many of you have experienced the feelings I did with our advocates in Washington, DC. The thrill of knowing you have made a difference, and the realization that the need for what you do, and will do, has never been greater. Thanks to all of you for what you will do that our citizen advocates will be talking about in future trips to Washington. Ken Foster, professor of agricultural economics, has been named head of the Department of Agricultural Economics. Dean Jay Akridge announced the appointment on March 23. Foster has served as the department's interim head since August 2008. "Ken brings a wealth of experience to the position and has a deep respect for all missions of our college and the department," Dean Akridge said. "It is an exciting time for the Department of Agricultural Economics, and I am looking forward to working with Ken to help the department continue to build on its reputation for excellence." Chuck Hibberd, Associate Dean and Director of CES, is pleased to announce the appointment of Dr. Jim Mintert as Assistant Director for Agriculture & Natural Resource programs for Purdue Extension. Dr. Mintert will begin his new responsibilities at Purdue on June 1, 2009. Dr. Mintert is a native of Missouri where he grew up on a corn/soybean farm near St. Louis. He earned Bachelor’s/Master’s degrees in Agricultural Economics at Purdue University followed by a Ph.D. in Agricultural Economics at the University of Missouri. He joined the faculty at Kansas State University in 1986 and currently serves as Professor, Extension State Leader and Extension Livestock Marketing Economist. Dr. Mintert has established an outstanding record of Extension, research and teaching at KSU and I am thrilled that he will be bringing that record to Purdue Extension. "As the search committee visited with Extension professionals at Kansas State University, it became clear that Dr. Mintert’s commitments to excellence in Extension programming and his collaboration with Extension Educators are highly valued," says Dr. Hibberd. "A great example of his work is the Ag Manager website (www.agmanager.info) that he developed. I am very enthused to bring a seasoned Extension professional to this important leadership role in our organization." Colorado State University has named Department of Agronomy head Craig Beyrouty as the next Dean of its College of Agricultural Sciences. Dr. Beyrouty will begin his new job on or around July 10. "We believe Dr. Beyrouty has the ability and the experience to work closely and collaboratively with the different sectors of Colorado's agricultural industry, supporting the needs of production agriculture, and positioning CSU's College of Agricultural Sciences to be a research leader now and in the future," said Anthony A. Frank, Interim President. Dr. Beyrouty said that although he is looking forward to the challenges that accompany this position, he will miss being a member of Purdue Agronomy very much. "It has truly been an honor to work with each of you these past 8 years," he said. Dean Jay Akridge will name a committee to begin the search for the next Agronomy department head in the coming weeks. From animals to insects and engineering to science, Spring Fest proves that learning can be fun. The annual family festival takes place 10 a.m. to 4 p.m. April 18 and 19 on Purdue's West Lafayette campus. The event is free. "Spring Fest is a fun way to engage with faculty, staff and students through educational activities," says Danica Kirkpatrick, Spring Fest coordinator. "We have had over 40,000 attendees when the weather cooperates." Nine Purdue colleges and schools, Purdue Discovery Park, Purdue Libraries and the Indiana University School of Medicine are sponsoring games and activities. More than 450 people dropped by during a two-day open house in the Steve and Sandra Hageman Center for Student Achievement and Leadership. The Center, located in the beautifully renovated east wing of the Agriculture Administration Building, is a hub for advising, tutoring, career services, honors, scholarships, leadership development, and much more. The Commons is open day and night to College of Agriculture students (undergraduate and graduate) with computer access and group meeting space. There are meeting rooms for student organizations, group study, interviewing, and tutoring. The placement services area helps match students to employers, enable them to participate in interviews, or help them prepare for professional and graduate school. Dr. Dev Niyogi, Agronomy, collaborated with a professor in the Department of Curriculum and Instruction to develop a program designed to improve the way climate and climate change is taught by science teachers and educators.The Activities for Conceptualizing Climate and Climate Change program was created through a grant from the National Science Foundation's Geoscience Education program. A tiny chip developed at Purdue can detect harmful bacteria in food products more accurately and significantly quicker than more traditional tests. Dr. Arun Bhunia, Food Science, found a way to use human cell receptors in biochips to detect the presence of Listeria monocytogenes, a bacterium common in deli meats and some unpasteurized cheeses. Listeria monocytogenes can cause sickness and death in people with weakened immune systems. Bhunia's findings were reported in the journal Analytical Chemistry. A 10-year study of mule and black-tailed deer has found unique subspecies created by the animals' responses to climate change thousands of years ago. Dr. Gene Rhodes, Forestry and Natural Resources, said DNA analysis of more than 1,700 deer throughout North America shows how the movement of glaciers segregated certain groups of deer and how that affected their genetic makeup. Glacial movement about 18,000 years ago isolated mule deer and black-tailed deer to areas that were suitable for their survival, sometimes cutting them off from each other. Those groups -- located in Alaska and Canada, and south along the U.S. West Coast to Mexico -- evolved genetically to deal with those conditions, creating several subspecies. Just as no two humans are the same, Dr. Joe Garner of the Animal Sciences Department has shown treating mice more as individuals in laboratory testing cuts down on erroneous results and could significantly reduce the cost of drug development. Mice have long been used as test subjects for treatments and drugs before those products are approved for human testing. But new research shows that the customary practice of standardizing mice by trying to limit environmental variation in laboratories actually increases the chance of getting an incorrect result. Steve Leer, Interim Coordinator of News & Public Affairs in Ag Communications, is the winner of the Journal & Courier's George Award for 2009. Steve is being honored for starting a sports program in 2003 for local home-schooled students -- Homeschool Unified Sports Teams of Lafayette or HUSTL. Nearly 100 students ages 12 to 18 participate in basketball, soccer, volleyball and cheerleading. Since 1963, the George Award has recognized significant community service by self-starters who see a need and meet it, with no thought of personal gain. They refuse to "let George do it." Four College of Agriculture faculty members have been named University Faculty Scholars: Dr. Lisa Mauer, Food Science; Dr. Andrew DeWoody, Forestry & Natural Resources; Dr. Marshall Porterfield, Agricultural and Biological Engineering; and Dr. Greg Hunt, Entomology. Select associate and full professors who have been tenured within the last five years are awarded this distinction in recognition of their scholarship. Faculty scholars, nominated by committees from their academic areas and approved by the provost, receive additional funding to support their research. The program was created in 1998. 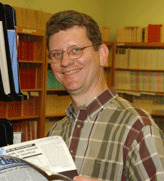 Dr. Matt Jenks, Horticulture and Landscape Architecture, has been named a Fulbright Scholar for 2009-10. The selection process for the Fulbright Award is intensely competitive and Matt is the first faculty member in HLA to be so recognized. He will participate in a collaborative project with Prof. Penelope Bebeli in the Laboratory of Plant Breeding and Biometry at the Agricultural University of Athens, Greece during Fall 2009. Dr. Rick Foster, Entomology, has been elected President-Elect of the North Central Branch of the Entomological Society of America. Rick assumes his duties as President-Elect next week at the close of the 2009 branch meeting, and becomes President in 2010. Dr. Arun Bhunia, Food Science, received the Institute of Food Technologists (IFT) Research and Development Award for 2009. The award recognizes an IFT member or team who has made a recent, significant research and development contribution to the understanding of food science, food technology, or nutrition. Dr. Bhunia has advanced the profession through his research focused on reducing the risk of foodborne illnesses by developing novel rapid detection methods for pathogens. Congratulations to Tom Turpin, Melissa Shepson, Gary Bennett and their colleagues Jos Holman, Michele Farley and Rob Jackson who won the “Educational Video for Youth” award for their production of “Catch the Reading Bug”. The award was presented by the Board Certified Entomologists of Mid-America as one of the 2009 Entomology Educational Project Awards at the North Central Branch annual meeting of the Entomological Society of America in St. Louis, MO. The video was used to introduce young people to entomological ideas and arthropods in a fun way through the summer reading program. DVDs of the video were distributed by the Indiana Pest Management Association and it was available for download on the Indiana Library website. The video was widely used in Indiana and other states. Adam Kline, a junior majoring in agricultural economics and political science, will be the president of Purdue Student Government for the 2009-2010 school year. Adam succeeds Eric Barnard, an ag economics major who served in 2008-09. Adam has been involved in Purdue Student Government throughout his entire time at Purdue. He has served on the Local Government Relations Team, Student Court, and College of Agriculture Senator. Adam is a member of Alpha Gamma Rho and is a Dean's Scholar. Adam and his running mate, Kristin Schrack, say theyl'll get right to work implementing some of their platform issues, including several green initiatives. Robert Hays, a sophomore YDAE major, was elected as the College of Agriculture's student government senator. Purdue Ag Ambassadors are student volunteers who represent the College of Agriculture in a variety of ways. They Lead campus tours for parents, visitors, and prospective students; Give presentations about careers in agriculture, and college life; Represent the College of Agriculture at information fairs; and Host alumni and dignitaries at school and University events. Tracie Egger, Assistant Director of Academic Programs for Recruitment and Leadership Development, leads the group. A team from Purdue was one of four teams to receive the First Place Platinum Award in the North American Intercollegiate Dairy Challenge (NAIDC) held March 27 and 28 in Syracuse, N.Y. A total of 29 teams from the United States and two from Canada competed in the eighth annual event, hosted by the Northeast Region NAIDC committee. The team coached by Dr. Mike Schutz and Dr. Tamilee Nennich consisted of Austin Deardorff, Macy, Ind. ; Kurt Fischer, Attica, Ind. ; Megan Kron, Evansville, Ind. ; and Jared Roberts, Westfield, Ind. The Purdue team combed through cow and farm management data, as well as financial records, then conducted an on-site evaluation. They also interviewed the farm owner. After identifying opportunities to increase efficiency and profitability for the herd owner, the team presented its findings to a judging panel comprised of a dairy business owner and four experts in dairy nutrition, herd health, reproduction, and financial management. Teams were judged on their analysis of the operation, recommendations, and overall presentation. Dairy Challenge was designed by professionals from the allied dairy industry and university educators to bring classroom training to life in the real world for students preparing for dairy careers. Purdue University officials on April 1 announced there will be no salary increases as part of the next fiscal year budget that begins in July. Earlier this year, the university administration ordered a 2 percent cut from the general budget fund and other cost-saving measures for the coming year. "Indiana families are facing enormous pressures, and so is higher education," said Purdue President France A. Córdova. "Hard times mean we must work harder and smarter to preserve the high-quality education we offer and its value for students and their families. At the same time, we need to ensure the vitality of our work force of dedicated faculty and staff. A policy that holds the line on salary increases will help us do that. Everyone is being asked to share the burden." The Purdue Cancer Center Challenge is drawing near with another way to help defeat cancer. The 5K run/walk will start at 8:30 a.m. April 18 outside Ross-Ade Stadium. Runners, walkers, volunteers and sleepers — yes, sleepers — are wanted. One option is to "sleep in" on Saturday morning, i.e., participate in spirit and in donating without doing the route. Faculty and staff who cover dependents on their Purdue insurance need to pay special attention to a Dependent Eligibility Verification Package that they will receive at home in April. Coverage on dependents will be dropped if the required information and verification documents are not received by May 13. Purdue and Rutgers universities will co-lead an international research and education group in a six-year, $30 million U.S. Department of Homeland Security center to create methods and tools to analyze and manage vast amounts of information for all mission areas of homeland security. The agency's new Center of Excellence in Command, Control and Interoperability will comprise the Purdue and Rutgers teams. Both will contribute to developing new methods to aid homeland security personnel in preparing for, preventing, detection of, response to and recovery from terrorist attacks as well as natural and manmade disasters. April 19: Agriculture Awards Reception in Stewart Center Room 302/306 at 2:00 p.m. Contact Kelly Lough at 494-3150 for more information. April 22-23: Ag Council Pancake Breakfast from 10 p.m. – 2 a.m. Contact Tracie Egger at 494-8470 for more information. May 15: TEAM Award Presentation and Reception from 2:00 – 4:00 p.m. in the Deans Auditorium and Gallery of Pfendler Hall. Contact Debbie Claeys at 496-7894 for more information. May 16: College of Agriculture Commencement reception in the Ross-Ade Pavilion from 10:30 a.m. – 12:30 p.m. RSVP is required to Debby Bible at debby@purdue.edu. Contact Debby Bible at 494-8593 for more information. May 16: Commencement exercises for College of Agriculture graduates at 2:30 p.m. in the Elliott Hall of Music. Tickets are required. Call 494-6157 for more information. June 10-12: 4-H Science Workshops on campus. Contact the 4-H Department at 494-8435 for more information. June 15-17: Indiana FFA State Convention on campus. Contact Brian Buchanan at 317-878-4178 for more information. June 22-24: 4-H Round-Up on campus. Contact the 4-H Department at 494-8435 for more information.